Well what can I say other than - if you haven't heard or tried of Gatineau skincare before then you are totally missing out. I first came across the Gatineau brand through the mother-ship QVC some years ago - as you know I have maturing, dry skin that has some fine lines, so I need all the help I can get! 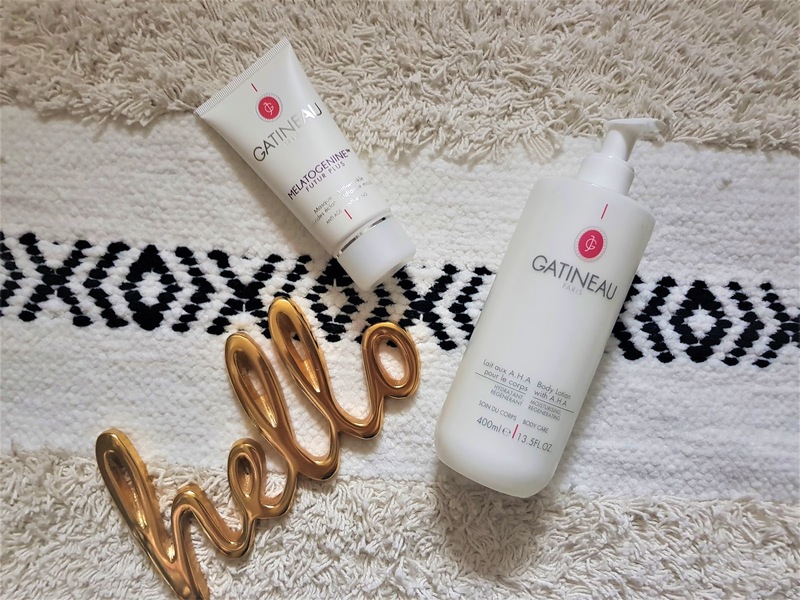 Gatineau combines natural ingredients with cutting-edge biotechnology to create an advanced range of skincare. Rooted in beauty therapy, their salon quality products have been developed alongside a range of beauty treatments and are used by skincare professionals worldwide. Specializing in anti-ageing, their products provide highly visible results for a younger looking you! I decided to opt for a mask to hydrate my tired skin, and a body lotion to get my skin Summer ready. I am lucky enough to get the opportunity to work with amazing brands, and the team at Gatineau are no exception. I have only ever used their Aqua memory skin care range (for hydration) and I have never used one of their targeted masks before. I specifically asked for anti ageing products to try as this is what Gatineau specialise in, and do so very very well. 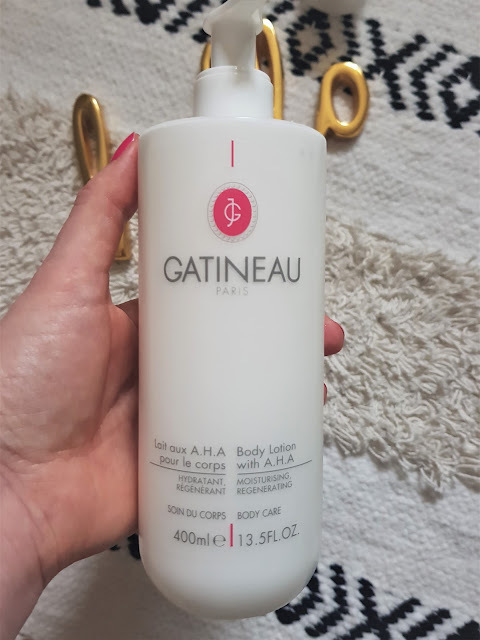 So here we have the Gatineau Melatogenine Futur Plus Anti-wrinkle radiance mask (below) - a luxurious almost cashmere soft cream mask that you leave on your skin for 10-15 minutes and use 2 3 times a week. 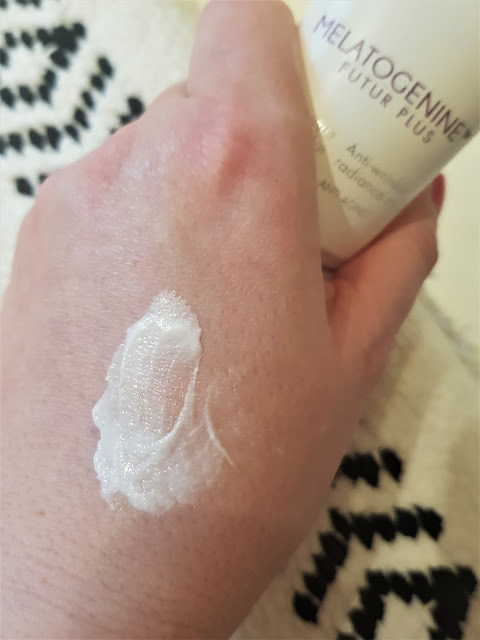 It contains Gatineau's patented youth activating molecule, Mélatogénine™, it rapidly smooths away lines and wrinkles whilst Collagen Extracts plump skin from within. I absolutely love this mask!! My dry, ageing skin drinks it up so that there is nothing left. I wash it off after a warm bath and apply my moisturizer as normal. In the morning I am left with plumped, silky soft, rejuvenated skin. Anti-Wrinkle Radiance Mask overnight. And it works wonders whilst I sleep. I really think this mask is holy grail territory and I am so very thankful I was given the opportunity to try it for you guys! Treat your skin to all-over softness and comfort with Gatineaus Body Lotion with AHA. Rich in Shea Butter and grafted AHAs from Passion Fruit, our creamy lotion nourishes, hydrates and protects. With a lightweight, non-greasy texture, it quickly absorbs into your skin so there’s no need to wait before getting dressed. A moisturising must-have for eﬀortless silky soft and supple skin. I have noticed a huge improvement to the bumps on the top of my arms since using this product, less spots on my chest or other breakouts from shaving. My skin simply drinks it up! 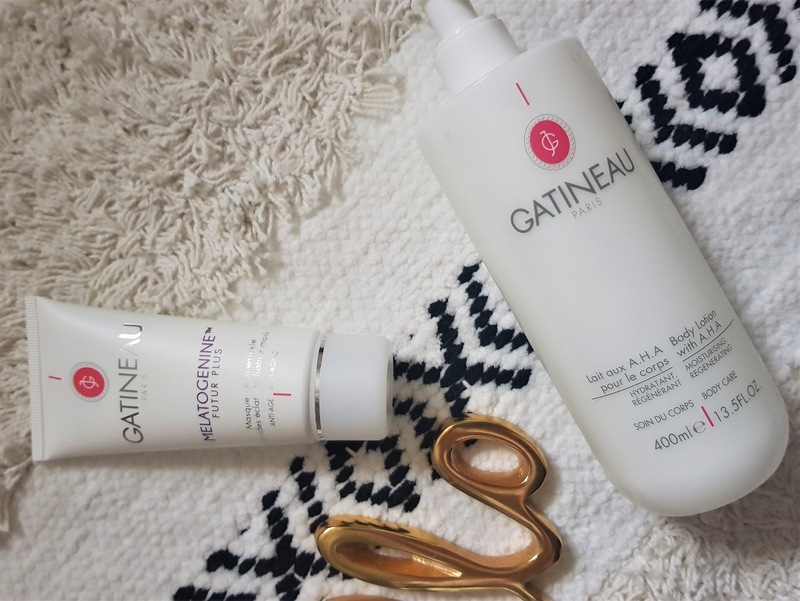 They are both definitely worth the investment, and I am even more hooked on Gatineau than I was before!